You have to iron a shirt. And properly. It’s unclear exactly why. Perhaps you are an accounting personnel. They have to tolerate so much and tolerating tolerance is something of a stretch, to be honest. The tea trolley came around. I needed a cuppa. Betty the Tea Lady didn’t look herself. That beard really didn’t suit her. Beards are not for everyone. You have to be straight with a person sometimes because it’s so unpleasant to be yourself. The world goes around and around, but I’m not sure I can do that screening thing for bowel cancer. I’m a bit squeamish with food once it’s been eaten and processed. 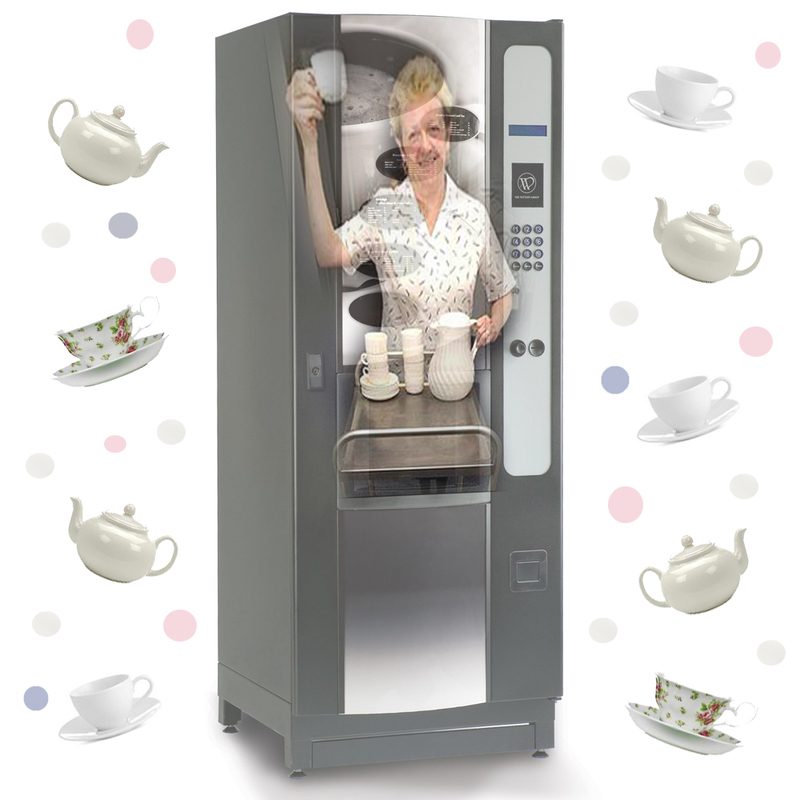 This morning we discovered they’re firing Betty the Tea Lady and replacing her with a vending machine. We’re going to take it to the human rights crowd. Other people and occupiers of space. The cause of our discomfort. This entry was posted on 3 November, 2018 in homepage and tagged Claire Palmer, Martin Stannard. Bookmark the permalink.